Pratistha Joshi Rajkarnikar received her B.A. from Mount Holyoke College in 2009 and completed her Ph.D. in Economics from University of Massachusetts Amherst in 2017. 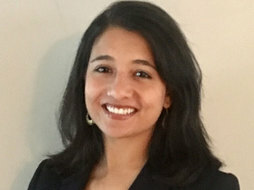 Her research covers topics on household power relations, gendered division of labor, women’s empowerment, economic development and the impacts of globalization on developing economies. Pratistha is currently a researcher at the Global Development and Environment Institute at Tufts University, where she is working on developing educational materials including introductory economics textbooks and teaching modules. She has recently co-authored the texts Macroeconomics in Context and Principles of Economics in Context. She has taught economics in visiting positions at Trinity College and University of Massachusetts Boston.